The eyes may be the window to the soul, but there’s nothing to beat a healthy smile when it comes to making a perfect impression. A set of bright, pearly whites can charm anyone. Here’s how you can make sure that you care for your teeth, and ensure you have a bright, ready smile instead of a tight-lipped one, every day of your life. According to the American Dental Association, brushing teeth twice a day for at least a couple of minutes can keep your pearly whites in top form. Brushing the teeth and tongue with a soft, bristled toothbrush and a toothpaste with fluoride can help keep cavities and bacteria at bay. Brushing also washes off particles that can damage the teeth and lead to cavities. The mouth is at a temperature of 37 degree Celsius and remains warm and moist as a result of which trapping of food particles can lead to bacteria and plaque deposits. When this builds up, it leads to calcification or hardening of the teeth resulting in calculus or tartar. This irritates the gums and exacerbates gum disease, apart from causing bad breath as well. Brushing in the morning is essential because it keeps plaque that formed overnight at bay. If you brush more than 2 times a day for longer than a total of 4 minutes, you can wear down the enamel layer protecting the pearly whites. With the absence of tooth enamel, a layer of dentin is revealed. These are tiny openings for nerve endings. When these are exposed, the pain of different types can be felt resulting in sensitivity. Close to 20 percent of US residents have suffered sensitivity or pain at some point in their teeth. While it is possible to brush hard, it is essential to avoid brushing as if to exert pressure. If the toothbrush looks squished, it’s clear you are applying too much pressure. 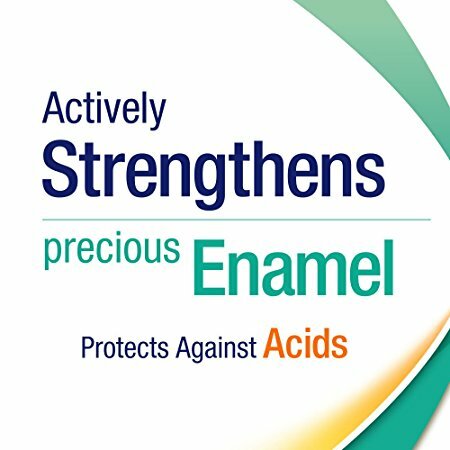 Enamel is strong enough to offer protection from all that goes on in the mouth due to food particles or sugary drink ingestion. Children, as well as teenagers, have softer enamel compared to older individuals, so they are more prone to erosion and cavities from sweet beverages and sticky food particles. Another way to avoid the minimal scraping on the dental chair is to floss regularly. This loosens particles missed by brushing and removes plaque, preventing the buildup of tartar, the latter being removable only by a dentist. Brushing and flossing can be carried out in any order. The basic focus should be on creating the right cleanliness and safety for your teeth. Wisconsin Dental Association has started the sip all day-get decay campaign to alert people about the dangers of soft drinks. Not just sugar soda, but diet soda can harm the teeth as well. Acid found in soda harms the teeth and once the acid cuts away at the enamel, it creates cavities leaving stains on the surface of the tooth and eroding the inner tooth structure. To prevent tooth decay due to drinks, you need to avoid sodas and take essential care of teeth. The teeth are overlooked as they do not get damaged. Once plaque and bacteria have damaged their toll on the tooth, it’s tough to save it. Lost or damaged teeth can be costly to treat. Think carefully before ill-treating your teeth. Much like any other body part, the teeth requires minerals and nutrition for sustaining health. An important nutrient for the teeth includes magnesium, vitamin D, phosphorous, fluoride and calcium. These nutrients work together to build the tooth enamel and strength it. Get full protection from the root of the tooth to its crown by opting for a nutritious meal that includes meats, grains, oils, fruits, and veggies. American Dental Association has recommended brushing the teeth at least twice a day for ensuring optimal plaque and food particle removal. An essential part of cleaning the teeth well is to use a fluoride-rich toothpaste and protect the teeth from bacteria by strengthening the enamel. A soft bristled toothbrush does not rub against the enamel and destroy it, unlike a hard bristled toothbrush. Many mouth rinses are present in supermarkets and drug stores, but making the right choice is important. Opt for a mouth rinse solution that is antibacterial if you want to fend off plaque and cavities. Vegan diners, listen up. Meat is a source of magnesium and phosphorous. Studies have found weaker teeth in those lacking a meat diet. Taking supplements or finding alternative sources of nutrients to prevent teeth damage is a must for vegetarians to remain in good dental health. Smoking does not only lead to halitosis, but it can also cause the staining of the teeth. Smoking is carcinogenic and causes heart and diabetic conditions. So, if you opt for a smoke-free life, and kick the habit of opting for cigarettes, you will get more than just healthy teeth, you will access a healthy life. Water is essential for rinsing away excess food particles stuck in the mouth. It also neutralizes the chance of acidic impact of food. This is important because acidity erodes tooth enamel and raises the risk of tooth decay and rinsing with water speeds up the teeth remineralization process. Resting for at least thirty minutes post the meal is essential, before brushing the teeth so it has time to demineralize. Brushing immediately after the food can weaken the enamel making the teeth weak and causing decay because the process of demineralization is still on. Another strict no-no is binging on cakes, candies, pastries, dried fruits, toffee, caffeine, red sauces, and soda. These foods stick to the mouth and feed bacteria, promoting tooth decay and causing the teeth to become stained. Every six months, you need to visit a dentist for improving your oral health. The dentist remains aware of the periodontal disease and tooth decay resulting and will be able to solve the issue early on and prevent complications linked with dental problems. A dental check-up is covered by insurance, but the amount to be shelled out is still a lot compared to the small cost of taking care of dental and oral health. Restoration or surgery can prove extremely expensive. Additionally, keeping teeth healthy also maintains a good appearance and ensures optimal dental functionality. Professional cleaning and dental checkups are, therefore, a must. Healthy strong teeth add charm and are a sign of robust health. Tooth decay is a massive problem caused by cavities and toothpaste is needed to be fluoride enriched to avert this. Gum diseases caused on account of plaque can be extremely hard to tackle. Regular cleaning and checkups are necessary to prevent this. Excellent oral health is not just about protecting the health of the gums and the teeth, but also protecting your smile and dental safety for a long time. Even while brushing and flossing regularly, there are some dental and oral health conditions you could also end up with. Whether it’s the consequence of your genes or your lifestyle, dental diseases and disorders need to be averted. Here’s how you can do it. To comprehend the issues being faced with teeth, what is most critical is to to consider what each tooth comprises of. Right at the center of your tooth is a cavity. It is comprising blood vessels, nerves, and other soft-tissue types. All around this dental pulp is the hard and yellowish material known as dentin. Underneath the level of the gum of the dentin is the hard tissue layer called cementum. Right on top of the gum line is the tough, smooth and white colored outer layer or the enamel. Every tooth is in an area within the jaw bones surrounded by gum tissue or soft gingiva and ligaments support it. Every part of your teeth is essential to good oral and dental health. Infection or disease in one part impacts the other and the overall oral health. Bad breath (also called halitosis) can become a problem for anyone. Bad breath be associated with medical conditions, too. For example, diabetes patients have acetone scent while kidney failure causes fishy mouth smell as do metabolic disorders. Also associated with halitosis are medical conditions like liver failure and lung and/or sinus infections. Bad breath is also the consequence of many other conditions, some of which are usually dental. The smell is caused when cells of bacteria in the plaque generate odor emitting sulfuric compounds. As the tongue is generally textured, food and bacteria accumulate in the mouth. Aggregation of bacteria and its fuel such food items are eaten and their debris drive bad breath and result in the emission of sulfur-compounds linked to this. Bad breath is also due to oral infections, or even cracks or teeth chips resulting from extra bacteria accumulation. Periodontitis can also be linked to bad breath as it makes it impossible to destroy sulfur-emitting bacteria. Most of these dental conditions can be cured. Once it has been medically confirmed the lack of any serious medical condition for bad breath,a dentist can sort out your problem. Dentists can evaluate the halitosis problem and treat oral infections, periodontitis or even cavities. The dental hygienist can treat you and come up with an oral health initiative. This may include special toothpaste with the power to ward off bacteria. Your dentist may even prescribe mouth rinses to reduce halitosis and fend off oral bacteria. Dryness in the mouth is also linked to a wide number of medical symptoms and conditions. This includes oral diseases like gingivitis, cavity, periodontitis and associated oral diseases. Dryness of the mouth itself is a medical condition called Xerostomia. Signs of this dental problem include excessive thirst, problems in tasting food. Advanced dryness of the mouth may even result in problems in speaking and dry sensations on the mouth surface. There’s also difficulty eating food, especially dried foods. Dentures don’t remain and lips become dry and crack. A dry mouth can also be the consequence of aging, RA/rheumatoid arthritis, and other such rheumatoid disorders. Hormonal problems, immunity problems, neurological disorders, long-term soft or liquid diet, radiation therapy are some other reasons. Even taking medicines like decongestants, antidepressants and diuretics can be a problem. There’s no obvious remedy for dry mouth, but there are several treatment choices. The simplest way to combat Xerostomia is to reduce dryness of the mouth by drinking lots of water and staying hydrated 24/7. When there is dryness, taking a sip is recommended. Chewing sugar-free gum also revitalizes the salivary gland while avoiding certain foods and drinks like sugar-rich items, tobacco and alcohol could also be a way out. Saliva substitutes can also be used for adjusting salivary secretions in an artificial way. When treating dryness of the mouth, consider that a low flow of saliva, which is natural oral rinse of the human body, leads to increased gum diseases, cavities and plaque deposits. Thus, oral hygiene plans deserve attention and you also need to use fluoride-rich toothpaste to stave off this condition. If eating or drinking cold or hot foods are causing you discomfort, it’s time to consider that you may be suffering from tooth sensitivity. 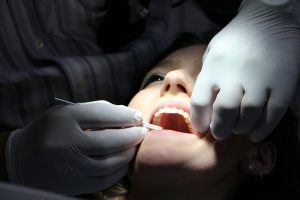 When teeth are destroyed due to physical impact, cavities or grinding of the teeth and gums recede following gum damage, there is exposure of dentin and root surfaces which, once coming into contact with hot or cold liquid or food, differences in sugar or acidity can lead to sharp ache in the tooth and jaw. Bruxism or chronic grinding of teeth lost crowns or fillings, chipped or cracked teeth, gum diseases, tough tooth brushing or even periodontitis influenced gum recession to lead to problems in tooth sensitivity. While replacing lost fillings is easy, many of these conditions lack the ability to be cured. But there are some treatment options that can lower tooth sensitivity. In the event of extreme sensitivity, dentists can try dentin sealer, white fillings or fluoride varnish to shield the root and/or dentin of the teeth which has become exposed. For those who don’t want to undergo this dental procedure, easy home-based solutions are there, too. Maintain excellent oral health and use fluoridated, specialized rinses or toothpaste as well as soft-bristled toothbrushes. 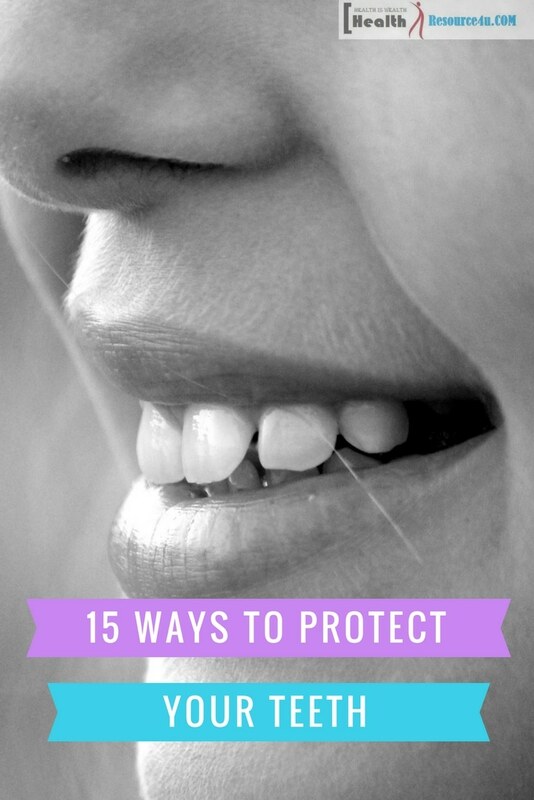 This can prevent abrasions of the gum. 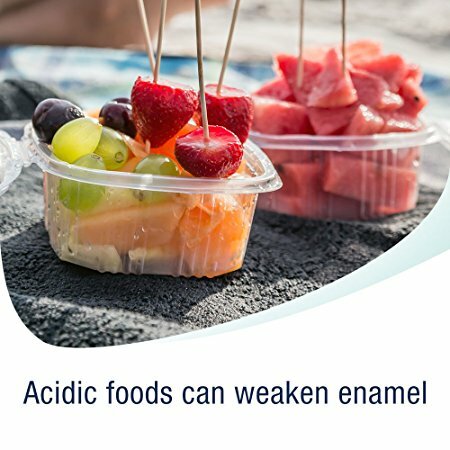 Do not eat acidic foods too much as these can also erode the enamel and increase tooth sensitivity. Additionally, there are desensitizing toothpaste which actively reduces sensitivity. One may want to apply a light layer over exposed roots. Leaving it on for 12 hours before rinsing it could work. Try the brand that works best for you. When tooth sensitivity is caused by tooth grinding or bruxism, wearing mouth guards in the night prevent erosion of teeth enamel and increase the resilience of your teeth. While healthy gums comprise pink or reddish coral appearance, with a firm orange-peel type surfaced tissue and fitted close to teeth along scalloped edges and contours, this is simply not possible for those who suffer from gingivitis or periodontitis. In healthy states, gums do not start bleeding or cause any discomfort during everyday oral hygiene routines like brushing. There is not any swelling or redness. When tartar or plaque deposit along lines of the gum, healthy tissues face pain and inflammation, resulting in a condition known as gingivitis. This medical condition is indicated by red and inflamed gums and bleeding at the time of brushing. It is important to note that oral hygiene intervention reverses the damage, but persistent neglect may result in periodontitis. At this phase, gums are sensitive yet the bone has not eroded and there’s no permanent, irreversible harm. However, when gum disease advances to the stage of periodontitis, treatment becomes essential. But the reversal of bone erosion is not possible. Along with swelling and bleeding, infection or pus occur around the teeth or the gums. 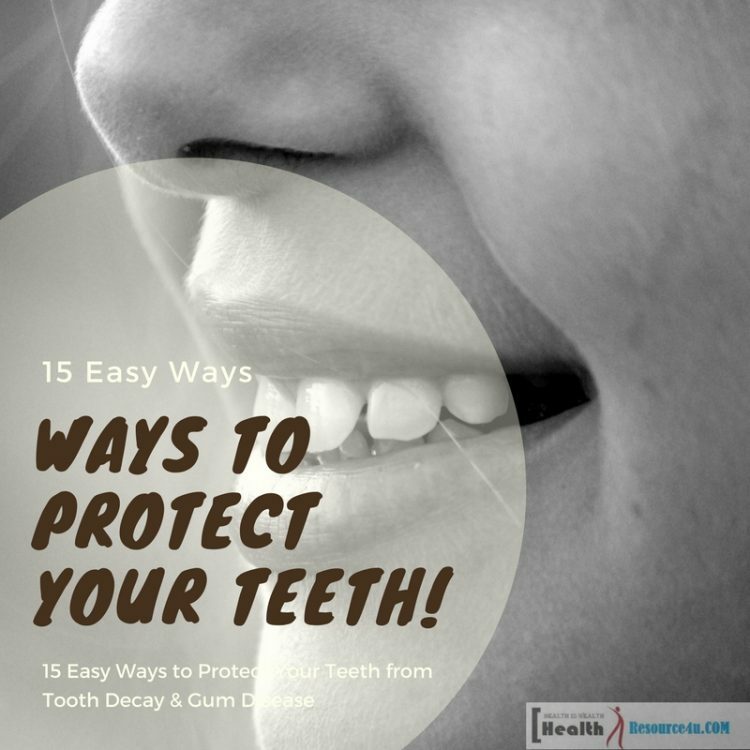 Additionally, gums pull away from the teeth and there are bad breath and itching. Loose or permanent teeth separate and there are also changes in the bite or even the fitment of dentures. In the final phases of periodontitis, plaque and/or tartar form below the gum line and the ligaments degrade surrounding the teeth. Additionally, gums separate from the teeth causing space for tartar and plaque to form. It is during this phase that oral hygiene and plaque removal or scaling can prevent damage and maintain strong and healthy teeth and gums. Ligament structures do not recover, however. Once the teeth develop this condition, they will always develop gum disease. At later or advanced stages of this disease, ligaments break down and bones surrounding the teeth degrade, causing the gums to be pulled away. The swelling and tooth sensitivity become severe and the condition could advance to a stage where teeth no longer support the mouth. Teeth may even have to be pulled out to safeguard your health. Regular dental visits and frequent check-ups can help to track and catch any of the gum diseases before they cause permanent damage. Just as important is the use of regular floss, and fluoride-rich toothpaste besides regular brushing and even specialized, fluoride-rich mouth rinses, leading to effective oral wellness plans. 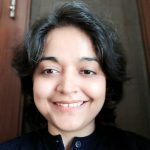 In the 2nd pregnancy month and for six months post delivery, many mothers experience an increase in swelling of the gum and redness in the gums. The hormones making a woman pregnant increase irritation of the plaque situated near gums. So, if plaque is regularly cleaned, this gingivitis will not occur. The best prevention is excellent oral hygiene. Visit a dentist and receive professional help, if you are facing this condition. Along with excellent gum health, strict dental hygiene practices can ward off tooth damage like cavities. Dental cavities result when bacteria remains on teeth across time, in spaces between the tooth. The chemical secretions of these bacteria eat the enamel. Limited flow of saliva, too many sugar or sticky foods and too much of a gap between the consumption of such goods and teeth cleaning raise the likelihood of cavities. Natural shape, strength, and position of teeth can also impact the chances of developing a dental cavity. 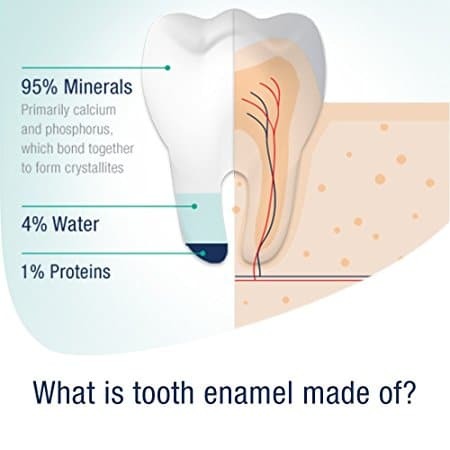 If you have a genetic medical history of bad tooth enamel and constant cavities, oral hygiene preparations can strengthen the enamel and rejuvenate the teeth at early points in cavity formation. Along with sticky foods like cakes and candies, sticky starchy foods like chips can also be a problem. Ensure plaque removal by working towards cavity-less teeth. Despite constant oral hygiene, you can face dental concerns. Close to eight to twenty percent of adults have teeth grinding or bruxism, leading to tooth sensitivity, enamel erosion, chipping and cracking of tooth or even jaw pain. Extreme teeth grinding is difficult to diagnose till it reaches a point where individuals suffer pain, migraine, and massive tooth damage. Stress is said to be the main cause of tooth grinding. Stress management and behavioral change programs can reduce the impact of teeth grinding or bruxism. Dental night guards are also recommended to prevent the teeth from facing erosion and/or pressure at the time of sleeping. One of the biggest and most vulnerable areas in sports is dental. Bruises or broken bones apart, contact sports can be a reason for dental injuries that are costly to fix. Therefore, it is advisable to wear mouthguards and helmets by default in any sports. Mouth guards range across large stock mouthguards to boil-and-bite guards which fit while softening and molding to teeth. There are also custom-guards which offer amazing fitment and protection, without coming in the way of talking or breathing. But these can be expensive. A good mouth guard, however, offers comfortable and long-lasting protection for your teeth. If there’s an impact, a good mouth guard can prevent a direct hit. In seeking that perfect smile, people choose braces or orthodontics to correct alignment of the teeth and biting prowess. Though it is generally resulting from fashionable reasons, braces can also be immensely useful for impaired chewing, difficulty in speech, pathological swallowing and facial muscles functioning and a chance of developing cavities associated with misalignment of teeth and biting patterns. But for braces to have serious benefits, they have to be worn for many years. White braces or silver, choosing the right braces is a medical decision. Those wearing braces also face a problem of food bits and/or plaque building up. So, it is essential to brush post meals and use interdental toothbrushes to keep teeth clean. Specialized mouth rinses rich in fluoride and flosses can remove food and plaque debris as well. Sticky or chewy foods should also be given a miss. While braces can ensure the perfect smile, they can also exacerbate the build-up of tartar and plaque. For those wearing dentures, a good fitting pair is a must, to prevent problems in chewing, talking and cleanliness of the teeth. Your dentures should prevent gum-linked damage, infection, irritation, and halitosis. For clean, comfortable dentures, you need to ensure that you are soaking the denture in denture solvents, clean the dentures using denture paste and soak the dentures in water after every meal. Getting a denture that fits well is also essential. With a society where appearances matter, yellow or stained teeth can be a real issue. These stains can be internally caused or the result of damage to certain medications. They can also result from smoking or eating certain foods or consuming alcohol. Internal stains can be impossible to remove. Outer or external stains, however, can be bleached and prevented through good hygiene habits. Always visit a dentist or/and dental hygienist for bleaching your teeth without damaging them. Bleaching teeth at home is not advisable. Smoking cigarettes and chewing tobacco can damage your lungs and your oral health. These tooth related conditions that appear include the swelling of the mouth and palate roof, tar deposits, teeth staining, slow gum healing, more chances of gum diseases, halitosis, black and hairy tongue, and oral lesions. Last, but not the least is gum recession. Perhaps the most severe and fatal outcome of smoking is undoubtedly oral cancer. In 75% o cases, oral cancer is linked to tobacco and/or alcohol usage and intake. Tobacco-use cessation is the key. Use anti-smoking aids and support groups and consult a health professional to quit smoking. Much like many other cancers, oral cancers can be treated if caught early. As your dentist is not there to evaluate your mouth every day, self-examination is a must. Perform self-checks and check the oral cavity, for swellings, lumps and /or growths in the mouth or the neck, repeated bleeding from the mouth and/or throat and discolored patches in the mouth. If a sore does not heal within 2 weeks, you need to conduct a biopsy and have it examined. Always consult a health professional, when facing symptoms associated with this serious and chronic as well as life-threatening oral disease. Cavities and tooth decay are the second most persistent health problem in America, just after the common cold. A little bit of care can prevent you from joining those afflicted with dental problems. Prevent tooth decay by averting inhalation of secondhand smoke or smoking. Avoid cabs and sugar-rich foods and drinks that only cause bacteria in your mouth to multiply. Not seeing the dentist regularly can also be a wrong move. If you have a dry mouth, you also need medical help. This is because saliva washes away the impurities from the tooth enamel, and protects as well as remineralizes the enamel of the teeth. So, you need to brush your teeth with fluoride toothpaste twice a day, rinse regularly, opt for a dental sealant and keep up the regular dental visits. Limit snacks on sugary treats or sipping soda and stick to foods healthy for your teeth. Also, opt for antibacterial treatment by rinsing with a mouthwash that is medically formulated for this purpose. If tooth decay is extensive, it can cause more damage if left untreated. From brushing the teeth to flossing and rinsing daily, swishing with mouthwash, skipping the sugar and brushing the tongue, there’s a lot you need to do. Attend to the mouth and gums as well and visit a dentist every six months. Dental cleaning and good oral hygiene can make a difference in your dental health and to your smile!